Odds are your business needs web data scraping. Data scraping is the act of using software to harvest desired data from target websites. So, instead of you spending every second scouring the internet and copying and pasting from the screen, the software (called “spiders”) does it for you, saving you precious time and resources. Departments across an organization will profit from data scraping practices. It is a no-brainer, really. Businesses of all sizes are integrating data scraping into their business initiatives. Make sure you stay ahead of the competition by effectively data scraping. What data do I need to grow my business? Can I get the data I need, when I want it and in a format I can use? Can the data be easily stored for future analysis? Can I maximize my staffing resources and get this data without any programming knowledge or IT assistance? Can I cost-effectively collect the data needed to grow my business? Exclusive Bonus: Download this Free List of questions you must ask potential data scraping partners. A web data scraping partner is standing by to help you! This is where purchasing innovative web scraping services can be a game changer. The right partner can harness the value of the web for you. They will go into the weeds so you can spend your precious time growing your business. Hold on a second! Before you run off to purchase data scraping services, you need to make sure you are looking for the solution that best fits your organisational needs. Don’t get overwhelmed. We know that relinquishing control of a critical business asset can be a little nerve-wracking. To help, we have come up with our steps and best practices for choosing the right data scraping company for your organisation. 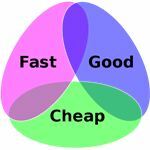 We have brought this up before, but when going through a purchasing decision process we like to turn to Project Management 101: The Project Management Triangle. For this example, we think a Euler diagram version of the triangle fits best. Using this framework can help you shape your priorities and budget. This really, in turn, helps you search for and negotiate with a data scraping company. This one is so important it is on here twice. Knowing your budget and staffing resources before reaching out to data scraping companies is key. This will make your search much more efficient and help you manage the entire process. 3) Have a plan going in. Know what data points to collect: contact information, demographics, prices, dates, etc. Determine where the data points can most likely be found on the internet: your social media and review sites, your competitors’ sites, chambers of commerce and government sites, e-commerce sites your products/competitors’ products are sold, etc. What frequency do you need this data and what is the best way to receive it? Make sure you can get the data you need and in the correct format. Determine whether you can perform a full upload each time or just the changes from the previous dataset. Think about whether you want the data delivered via email, direct download or automatically to your Amazon S3 account. Who should have access to the data and how will it be stored once it is harvested? Finally, the plan should include what you are going to do with all this newly acquired data and who is receiving the final analysis. Knowing your intended audience will influence all steps of this plan … remember to keep this in mind. 4) Be willing to change your plan. This one may seem counterintuitive after so much focus on having a game plan. However, remember to be flexible. The whole point of hiring experts is that they are the experts. A plan will make discussions much more productive, but the experts will probably offer insight you hadn’t thought of. Be willing to integrate their advice into your plan. 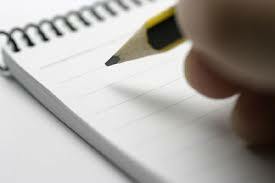 5) Have a list of questions ready for the company. Can they start helping you immediately? Make sure they have the infrastructure and staff to get you off the ground in a matter of weeks, not months. Make sure you can access them via email and phone. Also make sure you have access to those actually performing the data scraping, not just a call center. Can they tailor their processes to fit with your requirements and organisational systems? Make sure they have monitoring systems in place that can detect changes, breakdowns, and quality issues. This will ensure you have access to a persistent and reliable flow of data, even when the targeted websites change formats. As your data grows, can they easily keep up? Make sure they have scalable solutions that could handle all that unstructured web data. Will they protect your company? Make sure they know discretion is important and that they will not advertise you as a client unless you give permission. Also, check to see how they disguise their scrapers so that the data harvesting cannot be traced back to your business. Do a bit of your own manual data scraping to see what others business are saying about the companies you are researching. 7) Make sure the plan the company offers is cost-effective. What are the fixed costs associated with this project? 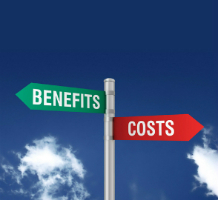 What are the variable costs and how are they calculated? Are there any other taxes, fees or things that I could be charged for that are not listed on this quote?